Former Sheffield United manager says that Chris Wilder’s “old school” coaching techniques are proof that football isn’t “done on a computer” in the modern game. Bassett, who managed the Blades from 1988-1995, praised the current United boss for guiding the team to the top of the Championship table. Speaking to the Mirror, Bassett said: “Chris understands you’ve got to win football matches. “This ‘we play the right way’ when you’re not winning is not his thing. He has his ideas on how he wants to play and he’s flexible. 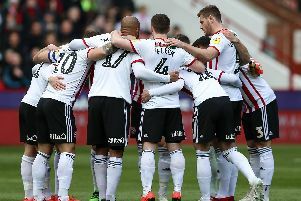 Bassett, who was Wilder’s manager when United secured promotion to the First Division in 1990, believes the Blades can make it to the top flight this season. “He’s not trying to promote himself and say he’s the new wonder coach, who plays the right way. “He plays in a way that wins football matches rather than one of those coaches who talks a good game, but doesn’t win.